Bought at NARCON. I think this is a gorgeous rocket with the potential to reach some serious altitudes on a J-motor. The biggest challenge was getting epoxy in the narrow cavities for the internal fillets. 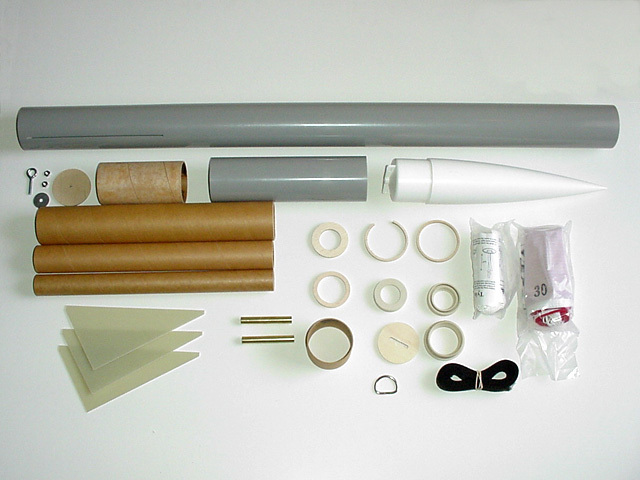 Eventually, I decided on my back up plan of sealing the fin canister and injecting the epoxy where needed. 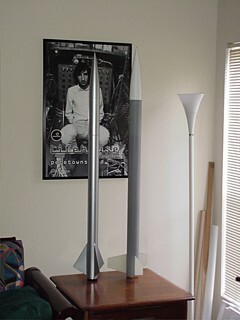 This rocket has been sitting around at least a year, waiting for me to finish the paint job. 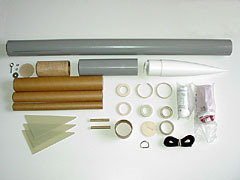 Parts for the PML Quasar rocket (left).